Don Vernon Thompson went to his final resting place Tue. Mar. 19, 2019. Don was born to Erie and Mattie (Hunt) Thompson Sep 24 1931 in Binger Ok and lived there his entire life. He was saved and baptized when he was 18 years old and is a member of the Binger Baptist Church. He attended Sickles High School where he graduated in 1949. 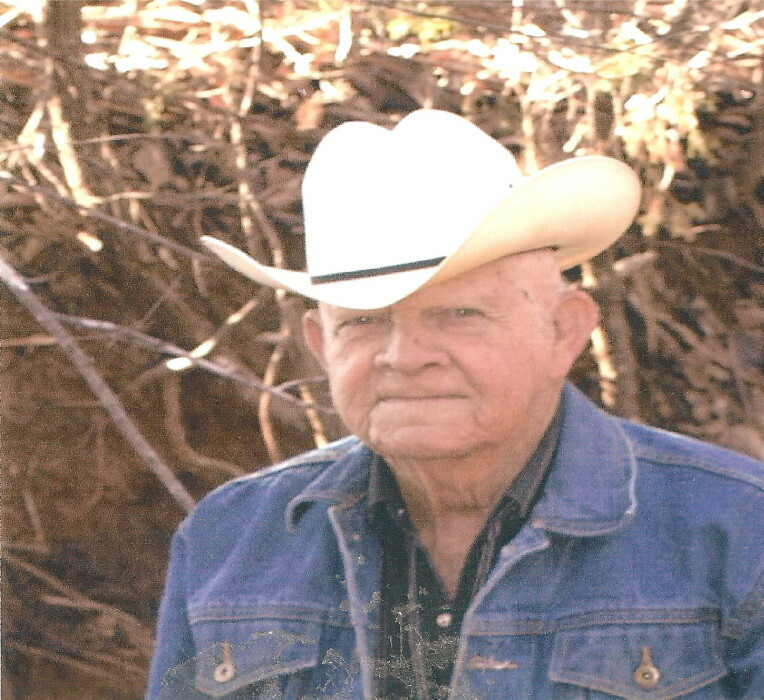 He was a lifetime farmer and rancher and owned Don’s Irrigation for 11 years. He married his wife Darwettia (Priddy) Thompson on Oct 22 , 1953. They raised their two boys on the farm west of Binger, the place his Grandad Sam Hunt homesteaded in 1901. Don loved his family, his cattle and all his Crainco coffee drinking buddies. He will truly be missed by all that knew him. He leaves behind the wife of the home Darwettia (Priddy) Thompson and two sons, Verlon Thompson and wife Demetria Of Nashville Tn and Rex Thompson and wife Laura Of Okla City. Two grandchildren Jas Thompson (and Julie Subia) Of Lookeba Okla. and Candace Thompson (and Travis Payne) Of Colony Okla. Five great grandchildren: Sydney Thompson and Haylee Thompson of Lookeba, and Riley, Trigger and Paizley Payne of Colony Okla. One sister Bessie Mahan Of Edmond Okla. One brother Albert Thompson Of Lawton Okla. He was preceded in death by his parents Erie and Mattie (Hunt) Thompson, 2 brothers and wives Elwin and Erma Jean Thompson and Clarence and Geraldine Thompson.